Book Proposals Made Easy is just what you need to get your book published. 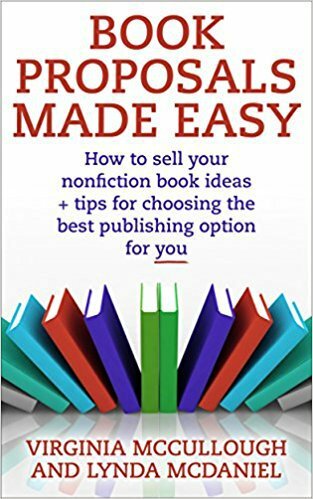 As two Amazon Bestselling authors and award-winning writers of more than 130 books between us, we know how to develop a nonfiction book proposal—and we show you how with a clear, step-by-step approach. We wrote Book Proposals Made Easy to help you evaluate today’s publishing options, and we’ve included tips for approaching publishing houses and literary agents—critical information if you choose the path of conventional publishing. As The Book Catalysts, we know your priority is writing the first draft of your book, which is why producing a book proposal is a powerful tool to keep your writing on track, regardless of your publishing method. Get started on your book proposal today! And remember: A book proposal isn’t just another task on your to-do list. It’s the tool that will make writing—and promoting—your book easier. Scroll up, buy now, and get ready to write a book proposal that gets your book written—and published.